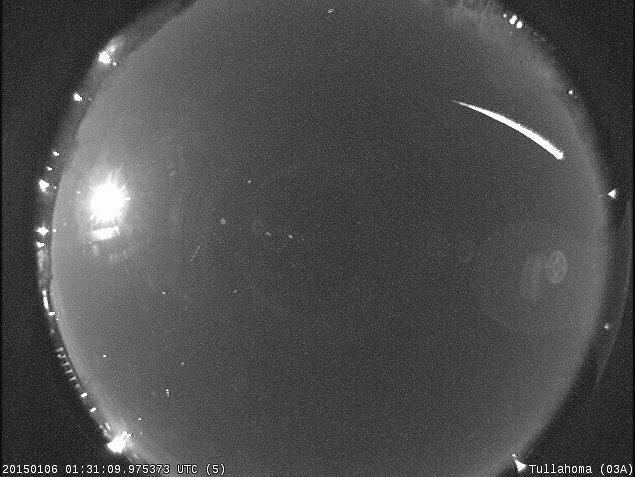 There was a fireball just to the west of Nashville at 5:46:55 CST tonight. Creating a streak of light brighter than the planet Venus, the object weighed about one pound and moved relatively slow for a meteor – only 32,400 miles per hour. The trajectory is attached along with still images from two NASA cameras. The meteor traveled from west to east just north of the town of Dickson, TN. 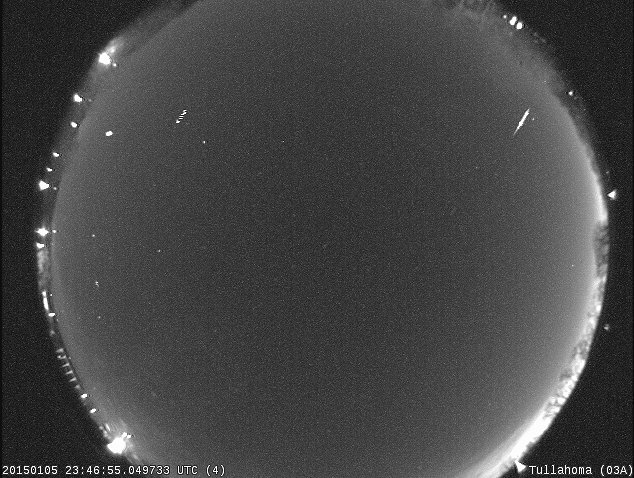 The second fireball occurred just to the west of Nashville about 7:31 PM CST. 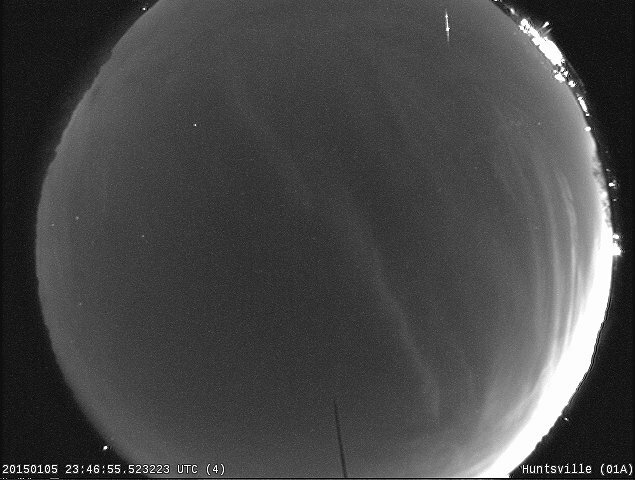 This one was brighter and faster – 75,000 mph – and moved east to west; totally unrelated to the other one. It burned up 30 miles above the town of New Johnsonville, TN. This is very exciting. I’ve definitely seen my fair share of meteors and get chills thinking of the awe and wonder of the universe. Two of the greatest memories that I have occurred within a 6 week span back in the summer of 2003 – 2004. I witnessed the phenomenon known as ball lightning and rod lightning. I understand that both are disputed as actually existing, but a friend of mine and myself both saw the ball or sphere lightning at the same time. It was a foggy, dense night and this tennis ball-sized sphere of light blipped in the sky. It freaked both of us out; primarily because there was no storm that night. It was very intense but the light was contained within a perfect circle. Several weeks later in upstate P.A. I witnessed this pencil-shaped rod of light blip in the sky and it was about the size of a pencil if you were to hold it at arms length. All things weather and astronomically related are both eerie and breath-taking. 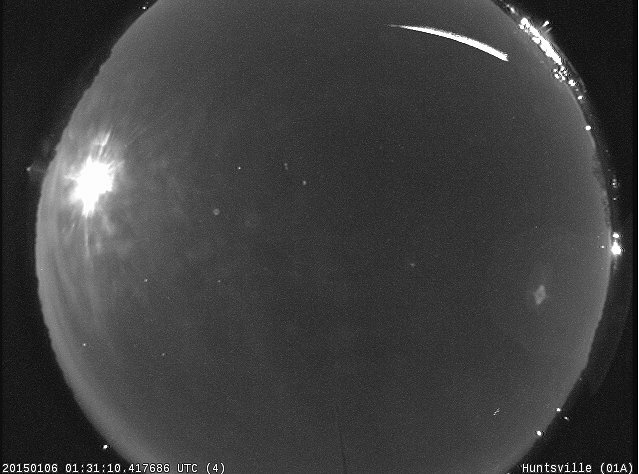 I just saw a fireball…. Or something massive flying thru the sky. It looked like it was a ball of fire, except it was bright green and orange around it. I am in Edmonton Alberta Canada and it was at 9:30pm. It shot in the middle of the sky and looked like it was going to crash into the Earth, then almost appeared to sizzle out. It was the craziest thing I have ever seen; I am looking for answers to explain what in the world it was. I’m here in grande prairie and I also saw that! it was amazing if you find anything. Out please reply. I saw one THIS MORNING (Jan. 6 while driving out of Sewanee, TN around 3:30 AM CST. Huge and very fast!